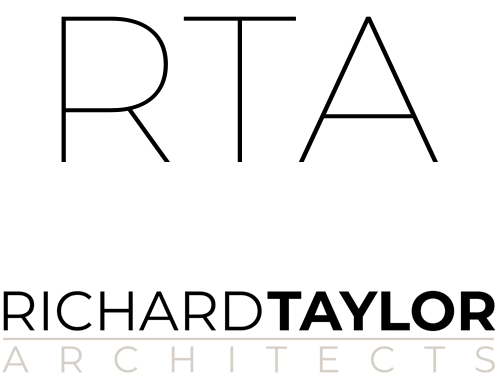 I’m committed to working with you to create lasting beauty, livability, and value, the essential ingredients for a very special living experience. 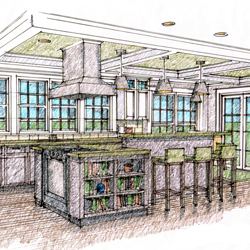 Together, we’ll work through a thorough custom home and remodeling design process that leads to a design that does what you want it to do, and what you need it to do, in interesting and distinctive ways. 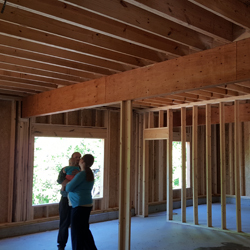 My full-service design process includes fully evaluating your home site, establishing a realistic construction budget, finding the best contractor for your project, and monitoring construction progress to assure that the home we’ve designed together is the one that gets built. Your project moves through a multi-step process designed to ensure excellence from concept through construction. I know you’re eager to get started, and anxious to find out what’s possible, so we’ll start with a consultation to help you decide what your next steps should be. If your project is still a few years off, I can help you plan an appropriate long-term schedule. 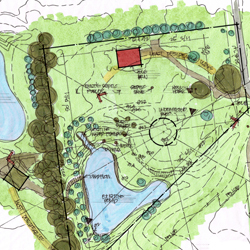 Your project gets underway with Pre-Design – we’ll discuss your needs, budget, and timeframe, and write it down in a “creative brief” for you to review and comment on. We’ll examine your building site in detail and prepare a graphic site analysis showing all of the important environmental features that can impact the design of your home. For a remodeling project, I’ll measure and digitally photograph the house and prepare “existing conditions” drawings that we’ll use throughout the design process. 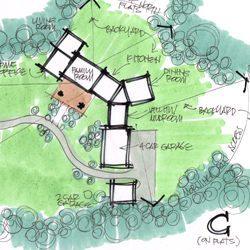 The Preliminary Design Phase is when sketches and ideas begin appearing on paper and you start seeing the project take shape. I’m a big fan of brainstorming, and will likely have several very different design concepts to review with you. But I don’t work alone; your consistent involvement in the design process is essential. We’ll go back and forth a few times, until we arrive at a design we all like and a preliminary construction cost that’s within your budget range. Design Development takes your design to a much greater level of detail throughout. We’ll look at 3D images and scaled drawings, scrutinizing all of the important architectural details of the interior and exterior of your home. With these more detailed drawings in hand, I’ll be able to give you a more accurate projection of the construction cost and proceed to the next phase with confidence. 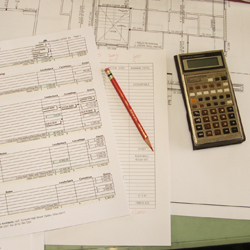 Construction Documents are prepared once all of the design decisions are made. 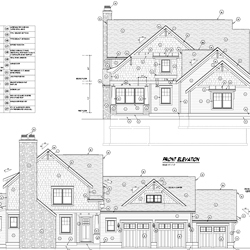 The construction drawings are detail-heavy to ensure that we get accurate, competitive prices from our bidders and clear communication to the builder of what we’re trying to accomplish. I recommend getting three competitive bids from experienced, qualified contractors on almost every project. I’ll help you choose the right contractor by managing the process of selecting bidders and requesting detailed bids. Once the bids are returned, I’ll carefully analyze them line-by-line and report to your my opinion of the best value. During construction I’ll stay in constant touch with you and your builder. I’ll make visits to the jobsite, answering questions from you and the contractors and helping to assure that the project is built as designed. Contact me to learn more the custom home and remodeling design process and about the services I offer and how I can help make your new home or remodeling project exciting, valuable and unique.